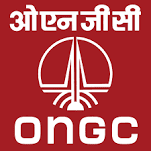 Oil and Natural Gas Corporation ( ONGC), Dehradun & Delhi has published a Advertisement for below mentioned Posts 2015. Check below for more details. Educational Qualification : Diploma in Electrical/ Civil/ Electronics/ Telecom/ Instrumentation Engineering/ Materials Management/ for post I-1 to 4, II-1, High School or Class X equivalent board examination with Science & trade certificate in relevant trade for post 8, 9, 10, Graduation with typing speed of 30 wpm & shorthand at 80 wpm for post II-4. For more information regarding qualification refer notification. Age Limit : 18-30 years for UR, 18-33 years for OBC, 18-35 years for SC/ ST for post I-1 to 7 & 9 to 14, II, 18-40 years for UR, 18-43 years for OBC, 18-45 years for SC/ ST for PwD for post I-1 to 7 & 9 to 14, II, 18-28 years for UR, 18-31 years for OBC, 18-33 years for SC/ ST for post I-8, 18-27 years for UR for post 15, 18-37 years PwD for post 15 as on 28-08-2015. Selection Process : Candidates will be selected based on written test, Physical Standard Test/ Typing test, Interview. Tentative Date of Written Test: 20-09-2015 at 10.00 a.m.